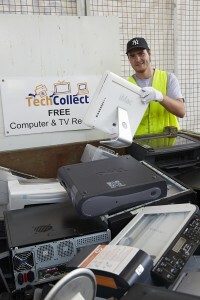 TechCollect partners with local councils, waste management organisations and selected retail and business partners nationwide. 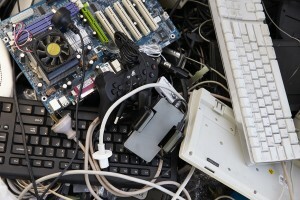 If you are a local council or waste management organisation and would like to provide your community with a free, easy and environmentally friendly way to recycle unwanted computers, computer accessories and TVs, join with us now and be part of the government and industry effort to reduce the amount of e-waste dumped in landfill. Partnering with TechCollect is free and easy! Because TechCollect is fully funded by many of the world’s leading computer and TV manufactures and importers, partnering with us to provide a service to your local households and businesses is completely FREE. “To supply our residents with a safe, efficient and environmentally responsible way to get rid of their unwanted e-waste, we needed to partner with a program which is committed first and foremost to our community. – Jason Agius, Operation Supervisor, City of Moonee Valley, TechCollect Partner. For more information on partnering with TechCollect, download our brochure and Guide for Collection Partners. You can contact us on 1300 229 837 or at enquiries@techcollect.com.au.